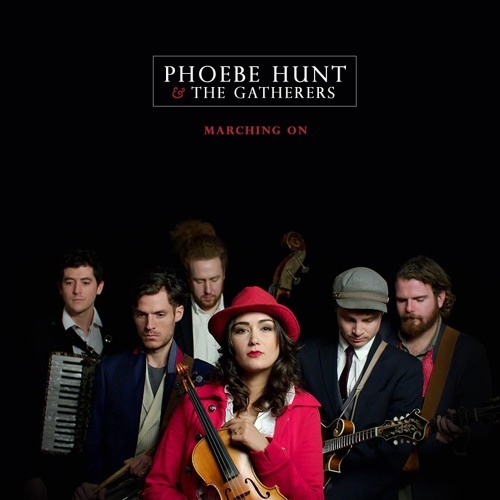 Singer-songwriter Phoebe Hunt will release her powerful new single “Marching On” on March 30th. Directly following the spring equinox, “Marching On” is the first of four singles Hunt will release this year, celebrating the cycle of the seasons. “Being about rebirth, creation, action, awakening and vibrance, spring feels like the right time to play songs like ‘Marching On’ which pull us toward the feeling of being part of a bigger picture,” Hunt said. “The song is a call to action, reminding us that it has always been the strength of the people coming together with a united voice that has inspired change in any capacity.” Hunt’s 2017 full-length release Shanti’s Shadow “reignited her solo career” according to Rolling Stone, hinting at “otherworldly music within”. Along with her band, The Gatherers, Hunt has found the musical wings upon which to soar within her unique world of artistic expression. From American Songwriter to NPR’s Heavy Rotation, her music is reaching an audience that listens beyond the status quo. Hunt’s “Marching On” offers an honest perspective of today’s political climate and the confusion of modern times. Her lyrics speak to a juxtaposition where we each face the daily choice of living for our own personal gain or with the bigger picture of humanity in mind.“Yes, we’re begging for a change, and no, we cannot see its name / We’re blinded by the constant pounding lie / That every man can be a king and it won't cost us anything / But ancient blood that's hidden in the mud” Inspired by the ancestral teachings of the Native American people, Hunt’s lyrics remind us of the blood that has spilled for generations over this confusion of values.